The signs so far indicate that 2015 will be a strong year in real estate. This could set the stage for a great performance in the Breckenridge, CO real estate market. I’m very hopeful based on all the indications I’ve seen so far. For this reason, I think it’s the perfect time to offer some real estate tips you can use throughout 2015. Whether you’re a buyer or a seller, this advice may help make a difference in your real estate transactions this year. In today’s digital age, it’s easy to rely on technology and overlook the most basic ways to keep track of information. I always stress to my clients the importance of taking notes. Without keeping track of your reactions and first impressions you can forget the details very quickly. When you’re looking at five, six or a dozen homes, they often blend together faster than you think. That’s why listing the pros and cons of each home will help you in your decision-making process. I encourage clients to keep electronic or paper copies of each MLS listing and take notes using the listing numbers or addresses you looked at. That way you’ll have pictures and details along with your notes to remind you which Breckenridge home you’re referring to. Once you find the homes that rise to the top of your list, don’t stop taking notes. It may be at the top of your list, but that doesn’t mean it’s perfect. Make sure you really examine the neighborhood before you leap into a contract. Checking out the area at different times of the day is one thing that is widely recommended. I always suggest home buyers consider this tactic when deciding on a home. Getting to know the neighborhood is essential. For example: are adjacent neighborhoods turning into rental communities? 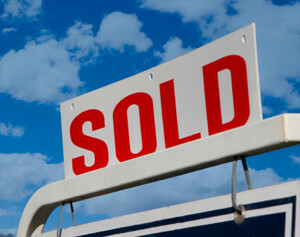 Do you see a lot of for sale signs on the street? These could be signals of a struggling neighborhood, which can make you reconsider the home you love. Good signs to consider are neighborhoods with highly rated schools, commercial properties getting redeveloped and homes for sale that are receiving multiple offers. Appearance matters when you’re selling a home. This means you need to make sure potential buyers like what they see right away. Things like well maintained landscaping, clean kitchens and bathrooms and fresh scents throughout the home go a long way. Decluttering each area really matters as well. A home that’s filled with clutter leaves no room for the imagination can be a deal breaker. Home buyers like to imagine the home as theirs from the moment they walk in, and as a seller, you want to help them do that. Finally, it’s essential to keep in mind that spring may be the most popular selling season, but people look for homes year round. Make sure your home is appealing from the day you list it until the day it sells. Touches such as throw rugs in the winter, fresh-cut flowers in the spring and seasonal fruit baskets in the summer can really add a nice feel to your real estate. As you can tell, there are many things to consider in a home transaction regardless of whether you’re the buyer or the seller. While any real estate deal can be stressful, I hope these insights will help you through the process as we make our way through 2015. On a different note, if you’re ready to purchase real estate in Breckenridge or throughout Summit County, I can put together some properties that might suit your tastes. Feel free to look through the updated listings on my website to get started. When you’re ready to explore your options or prepare for showings, contact me at any time via email ([email protected]) or on my office line. I look forward to working with you!